It saddens me deeply to have to send this news out to everyone. Our friend, Grand Ole Opry Star Mel McDaniel has passed away at the age of 68. Mel has been battling lung cancer and has had health issues for several years. A native of Checotah, Okla., Mel became an Opry member in 1986. 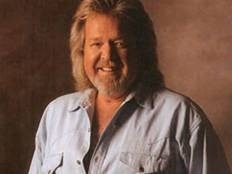 He’s best known for his hits “Baby’s Got Her Blue Jeans On” (1981), “Big Ole Brew” (1982), the No. 1 “Louisiana Saturday Night” (1984) and “Stand Up” (1985). I do not have any other information on Mel’s passing at this time, and because I will not be in my office for a few days, I will be unable to post funeral arrangements, but I am sure many of my associates will send all the information your way. Please pray for Mel’s family for their loss. MAY HIS SOUL REST IN PEACE IN THE ARMS OF OUR BLESSED LORD.